Pregnancy and childbirth are life and body transforming adventures, and celebrities are not immune to the impacts of these changes. Superstar Mariah Carey, pregnant with twins, was the topic of many “news” magazines as her body morphed into a new shape. After the delivery of her precious children, she unveiled her new outlook as well as her new body, thanks to Jenny Craig – or as the company prefers to be called now – Jenny. Why did Mariah Carey choose Jenny? In interviews, Mariah Carey reveals that like so many women, she felt uncomfortable in her new pregnant and post-childbirth body. She did the dance in the dark with her husband, never fully wanting to reveal herself, and she wished for the days she could fit back into her “skinny” clothes and don those fabulous shoes once again. Most of all, perhaps, she wanted to feel healthy both inside and out. During her pregnancy, Mariah endured edema, significant and often painful swelling of water weight. Shortly after the birth of her children, she was able to drop more than half of those 70 pounds, but still knew she wanted and needed to lose more. Here is where Jenny came into the picture. How does Jenny Craig weight loss work? The program’s goals include modest weight loss of 1-2 pounds each week and offers three different specific programs depending upon a person’s need. The center of the overall program includes three Jenny meals and one Jenny snack each day, supplemented by your own fresh fruit, veggies, reduced-fat milk, and heart-healthy fat options. Not only did Mariah lose 30 pounds on Jenny, but she went on to direct new commercials for the weight loss program. In these commercials, Mariah is seen listening to the success stories of other women, some of whom are brought to tears by sharing their struggles and accomplishments. 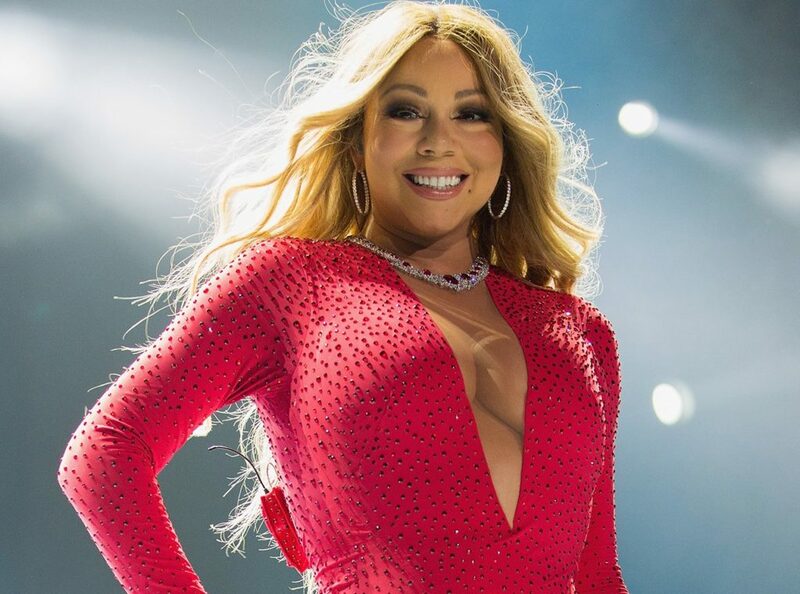 In conjunction with Jenny, Mariah also teamed with the American Heart Association to bring awareness to the risks of heart disease for people struggling with weight issues. These commercials promote healthy lifestyle changes, encouraging people just to do more. Also known as the My Heart, My Life initiative, Mariah speaks about the program that strives to help people lose weight and improve their heart health, which is why pairing the American Heart Association with the Jenny spokeswoman is so powerful. Can Jenny work for me? There is something slightly satisfying in knowing that celebrities are real women, too, even though they don’t always look like they load the dishwasher in the morning and run the kids to soccer after school. Like other long-running weight loss programs that ride the waves of successful stories, Jenny promotes healthy eating habits combined with exercise as the tried and true way to achieve weight loss goals. It is not about secret magical pills or surgical procedures. It is about moms wanting to run with their kids and feel good about themselves at the end of the day, even if the only music video we do is a rendition of Twinkle, Twinkle Little Star as we rock our babies to sleep. Thank you bestdietpills.work for providing this article. To read more about training, weight loss plans and diet pills please visit website.